Wan Chen Chang is the founder of Harmony Chinese Medicine. Wan Chen is certified by the National Certification Commission for Acupuncture and Oriental Medicine (NCCAOM) as a diplomate in both Acupuncture and Chinese Herbology. He has trained in acupuncture and Chinese Medicine for over a decade in Taiwan and the United States. He graduated with a Master’s degree from the Florida College of Integrative Medicine in Orlando, FL. 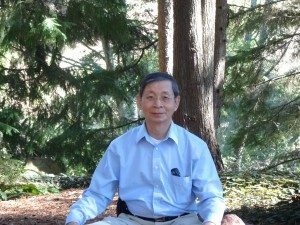 In addition to being licensed in both Acupuncture and Chinese Herbology, Wan Chen has been a Tai Chi Chuan master for over 20 years. Acupuncture is an essential part of Traditional Chinese Medicine, a comprehensive system of health care with a continuous history of over 3000 years. Traditional Chinese Medicine consists of acupuncture, Chinese herbology, qi gong, bodywork (tui na), nutritional therapy, moxibustion, gua sha, cupping, and exercise. Established as an energetic model, Traditional Chinese Medicine recognizes a vital energy behind all life forms. This energy, Qi, was discovered to flow along specific channels throughout the body called meridians. Each channel is associated and interacts with a particular physiological system and internal organs. A deficiency or imbalance of energy in the meridians is considered to be the cause of disease. Wan Chen specializes in integrating his skills and experience in acupuncture with Qi Gong techniques as well as Tai Chi Chuan exercise to rebalance the body, thereby aiding the natural healing process and restoring lost vitality, as well as assisting in pain management. Since he is a certified Herbologist, he can combine prescribed herbal medicines with acupuncture treatments to help you to achieve the highest degree of health. Taking care of your body should be at the top of your priority list; therefore, it is imperative to ensure that you are physically and mentally balanced through adequate exercise and diet. However, if for some reason you are not as well balanced as you wish to be, please consider Oriental Medicine as a safe and effective alternative. Unfortunately, at this time we only accept cash or personal check.